Two Muslim women made history after becoming the first to be voted to the the US congress on Tuesday. 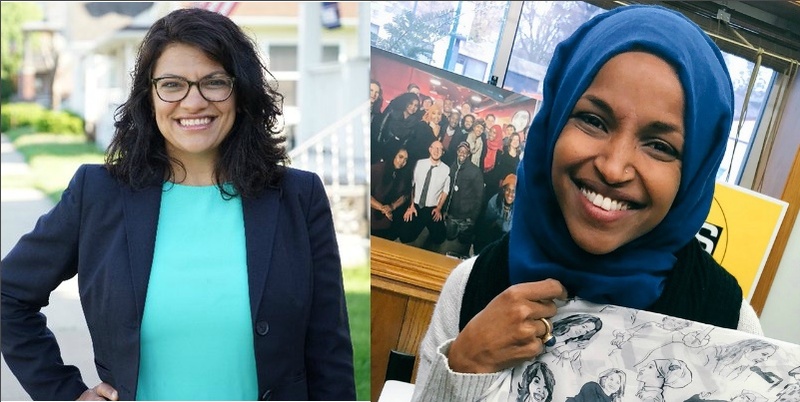 The women, both Democrats, include Palestinian-American Rashida Tlaib and Somali-American and former refugee Ilhan Omar. Omar, a Somali refugee, won a seat in the Midwestern state of Minnesota, where she will succeed Keith Ellison – the first Muslim elected to Congress. Michigan Democrat Tlaib, a social worker and the daughter of Palestinian immigrants, ran unopposed on the general election ballot after her primary win. Both women are critics of US President Donald Trump, and Tlaib also faced arrest two years ago for disrupting Trump’s speech in Detroit. The two women will increase the total number of Muslims in the House to three – African American congressman Andre Carson has also won re-election in his Democratic district in Indiana.